Premier Data Systems can help. Wireless Networks are becoming more popular than ever before. The world has gone mobile, unleashing itself from desks and wired devices. Now emloyees, customers, and guests walking through your premises expect stable, secure wireless connectivity. The greatest challenge most small and mid-sized business faced in the past was the cost involved in providing an effective wireless network. 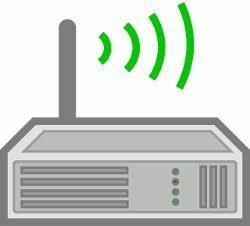 In the past, this caused many businesses to compromise the performance and security of their network for cost savings by using residential grade wireless solutions. Here at Premier Data Systems, we provide you with business class wireless networking solutions at a price you can afford. We provide services across all wireless technologies such as controller based solutions, RFID tracking, wireless network management, wireless security, voice over WLAN and others. Increased Efficiency - Faster transfer of data from business to customers and vice versa. Cost savings - Wireless networks may enable you to implement a BYOD (bring your own device) policy. Access and availability - Having data easily accessible and you can set permissions as to whether who can access that data. Flexibility - Users can move around freely within the area of the network with their laptops and handheld devices. New Opportunities - Wireless networking may allow you to offer new products or services. Learn more about our Wireless solutions tailored to your field workforce. Contact us today to learn more about our professional, high-speed wireless network solutions.